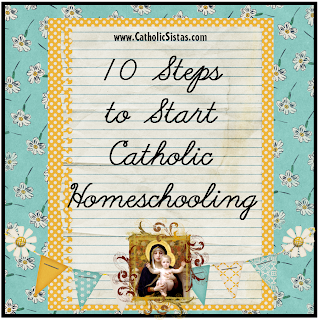 Have you set goals for your homeschool before you began your journey? 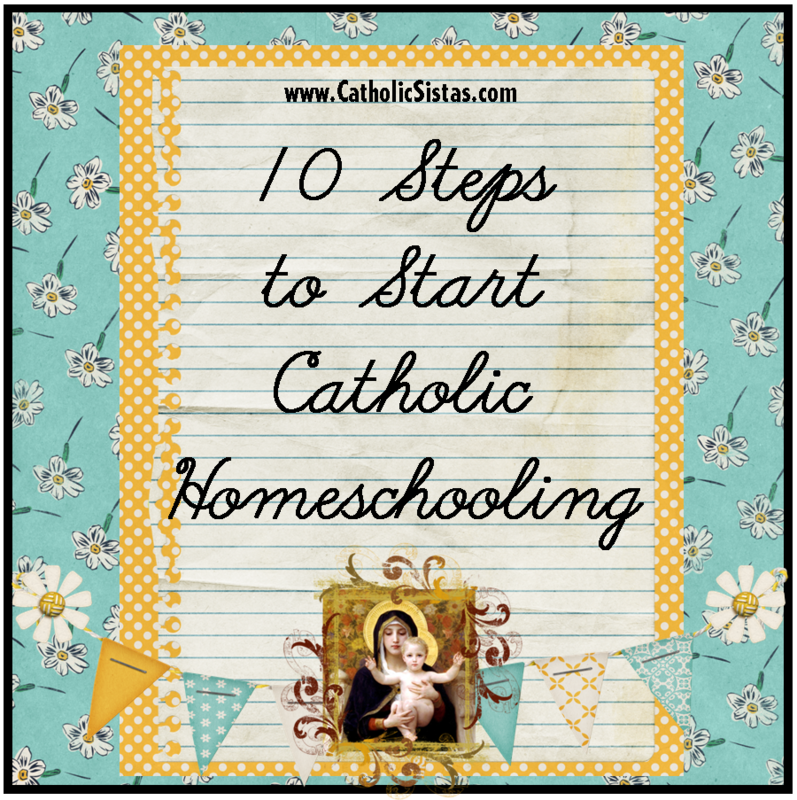 Are you thinking about homeschooling your children but do not really know the reasons why? Here is an easy way to set goals for your homeschool. 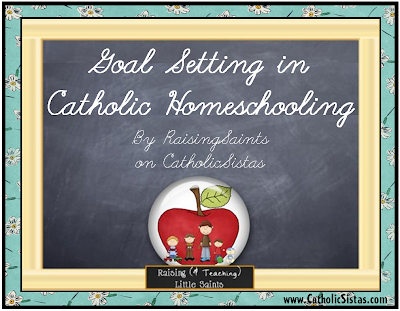 Though a "dry topic," goal setting is very important for every family thinking about homeschooling or home educating already. Knowing them in your head just is not enough, you need to organize them and write them down. I mean it's not a super exciting topic BUT a very important one because I truly believe that if you set your philosophy and goals ahead of time, you will not doubt nor will you feel intimidated by others when questioned about your family's decision to home educate, not that it really matters what others think BUT when you have well thought out reasons, it's a great feeling! This got me thinking about my own homeschooling journey which is only four years young. How did I get here and what helped me stick with it? Then I wondered how many other moms out there on the fence about homeschooling and have not because of fear or lack of knowledge. Is this you? Same great ideas, different blog address. So find us now under their Domestic Church category as Homeschooling. Are you feeling pressured to have your holiest, Sacrifice and prayer-filled Lenten Journey this year? Do you ever find that you start out on Ash Wednesday with your ashes on your forehead and so many Sacrifice and prayer resolutions, but get discouraged by the second week because you can't stick to them all? How about focusing on one solid resolution or Lenten program or one different challenge each week: one that our families might be able to stick with, will draw all of us closer to Jesus, and one that we can carry out with love in our hearts instead of grumpy Lent faces. Do you want to share what your family is doing for Lent this year? 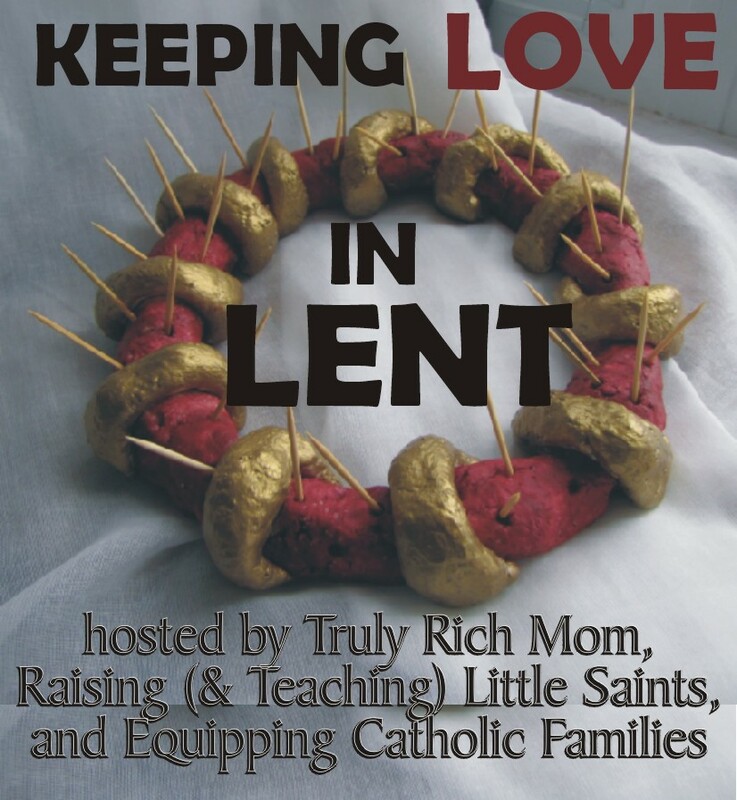 Then join us, Tina of Truly Rich Mom, and Erika of Raising (& Teaching) Little Saints, and Monica of Arma Dei: Equipping Catholic Families in the Keeping LOVE in LENT Blog Link-Up 2013. We're also going to incorporate a totally optional Follow Frenzy feature for those who want to be inspired by other people's posts, with the added benefit of getting meaningful comments and new followers to your own blog. A blog link-up is where we each write a blog post on the same theme. Everyone will get links to other bloggers’ posts to multiply your reach, and to help spread the message of Keeping LOVE in LENT! You don't have to participate in the Follow Frenzy, especially if reduced blog-time is part of your Lent! The LInk-Up is open to all bloggers who agree with the its' goal, particularly Catholics and Christians of all denominations who observe LENT. You may write about anything that pertains to the blog theme, e.g. share tips on how you and your family keep LOVE in LENT: stories to encourage others to do so; books and activities (even recipes!) that help keep Lenten Observances of fasting, abstinence from meat on Fridays, extra prayer, cleaning and giving clothes away to the poor, special Catholic devotions and practices like extra weekday Masses or Stations of the Cross, etc. 1. Register by filling up the form at the end of this post or clicking here ON OR BEFORE Pancake Tuesday, February 12, 2012. 2. Write your blog post on the theme, "Keeping LOVE in LENT" in the first part of LENT and publish the blog post on February 19-20, 2013, filling out the form we send you with the direct address to your blog-post no later than February 20, 2013 at 9AM (EST). You will receive the complete list of Blog-post links by noon on February 20, 2013 (EST) for you to add at the bottom of your post. write the following as your introduction and include the Love in LENT button! The deadline for registration for the carnival is February 12, 2013 (Pancake Tuesday). Posting instructions and Link-Up rules will be e-mailed to all participants on February 14, 2013 and the link-up will go live on February 20, 2013. PLEASE PUBLISH YOUR BLOG-POSTS no later than 9am EST on February 20, 2013. Kindly write about the theme provided. We do not moderate or screen posts but we do reserve the right to exclude your entry from the list of link-up participants should your post be offensive, irrelevant to the theme, contain personal attacks, off-topic articles, articles that are anti-Christ or are articles aimed to market products or services. 1. REGISTER HERE your blog by February 12, 2013. 2. Publish your blog-post on February 19 or 20, 2013. (No Later than February 20 at 9am EST). as soon as you publish your blog-post, no later than February 20 at 9am EST. 4. Add the list of link-up participants to the end of your blog post by February 20, 2013 at noon. EST. You will receive a list of link-up participants as I receive them on February 19, 2013 with the final list compiled for you to edit at the end of your blogpost by noon on February 20, 2013. 5. Specify in the registration form that you intend to participate in the FOLLOW FRENZY. 6. Receive your list of blogs to visit on February 20 by noon EST. 7. Visit, leave meaningful comments and hopefully subscribe or follow 20 newly discovered Blogs by February 24, 2013.